Counsel Press’ Boston presence was created in 1992 by Lutz Appellate Printers. Lutz was founded in 1960, and later acquired by Counsel Press in 1997. 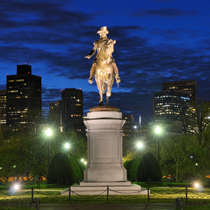 Our Boston operations specialize in filing and service within the Commonwealth Court of Massachusetts, the Massachusetts Appeals Court and the United States Court of Appeals for the First Circuit.